Ministry of AYUSH observes Ayurveda Day every year on Dhanawantari Jayanti (Dhanteras). 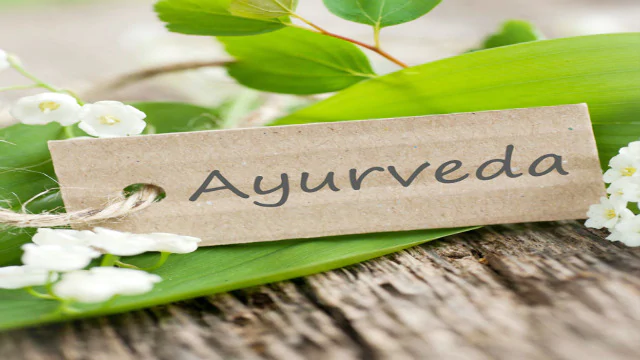 This year Ayurveda Day is being observed on 5th November 2018. On this occasion, Ministry is organizing a “National Seminar on Entrepreneurship and Business Development in Ayurveda” in association with NITI Aayog on 4th & 5th November 2018 at Dr. Ambedkar International centre, Janapth, New Delhi, with the intention to encourage entrepreneurs and Ayurveda stakeholders towards businesses opportunities in the sector. Nearly 800 participants from across the country are expected to participate in the main function of 3rd Ayurveda day. “National Dhanwantari Ayurveda Award” comprising of Citation, Trophy (Dhanwantari Statue) and Cash reward of Rupees five lakh shall be conferred on this day to eminent Vaidyas. The Ministry of AYUSH has selected three renowned Ayurveda experts namely Vaidya Shiv Kumar Mishra, Vaidya Madhav Singh Bhagel and Vaidya Itoozhi Bhavadasan Namboothiri for the prestigious National Dhanwantari Ayurveda Award for the year 2018. The winners of the National level Ayurveda quiz conducted by All India Institute of Ayurveda (AIIA), New Delhi, will also be felicitated during function. Shri Dhanwantri Ayurvedic College, a centre of excellence & state of art in Ayurvedic medical study and treatment, was established in 1975 by a group of philanthropists for the growth and development of Ayurveda in Chandigarh. The college offers BAMS (Graduate) and Post Graduate courses. It is located at Sector 46-B, Chandigarh. 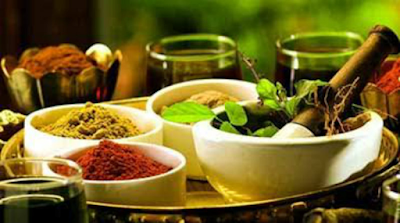 It has super-specialty Ayurveda services with modern facilities. The college is affiliated to Punjab University, Chandigarh. The intake capacity for BAMS is 50. Rajiv Gandhi University of Health Sciences was founded in 1996 in Bangalore by the Government of Karnataka for the promotion of higher education in the health sector in that state. About 680 colleges are affiliated to this university. The university and its affiliated colleges are conducting health science courses such as Medicine, Dentistry, Ayurveda, Homeopathy, Yoga & Naturopathy, Unani, Physiotherapy, Pharmacy, Nursing and Allied Sciences. The university is offering ayurvedic courses-BAMS, MS and MD. Gujarat Ayurved University is an autonomous organization, fully funded by the Government of Gujarat. The University was founded in 1967 in Jamnagar. The university offering many courses in Ayurveda such as Ph.D. in Medicinal plants, M.Sc. in medicinal plants, Ph.D (Ayu), BAMS, MD (Ayu), B.Pharm (Ayu), D.Pharm (Ayu), M.Pharm (Ayu), PG Diploma in Yoga & Naturopathy, Introductory Course in Ayurveda and Certificate Course in Yoga and Naturopathy. JB Roy Medical College is one of the oldest ayurvedic colleges in India. The college was established in 1916. The college offers BAMS degree with intake capacity of 60. It is affiliated to West Bengal University of Health Sciences. Ayurvedic Medical College, Kolhapur is founded in 1989 and affiliated to Maharashtra University of Health Science, Nashik. The college offer BAMS degree and known for modern facilities and infrastructures. The intake capacity of the college is 60. The State Ayurvedic College & Hospital, Lucknow is affiliated to University of Lucknow. The college is known for its quality education with intake capacity of 50. It offers both Undergraduate and Post Graduate courses in Ayurveda. Shri Ayurveda Mahavidyalaya is a premier institution is credited with modern facilities and quality education. The known ayurveda central India College was established in 1953. The college is affiliated to Maharashtra University of Health Sciences, Nashik. It offers courses undergraduate, post graduate and doctorate. In the undergraduate course, the college offers 13 disciplines. Rishikul State Ayurvedic College is one of the oldest ayurvedic colleges, was established in 1919 at Haridwar. It offers courses in BAMS, MD (Ayu), Ayurveda Nursing and Diploma in Panchkarma Therapist. It is known for its quality education and state of art facilities for students. 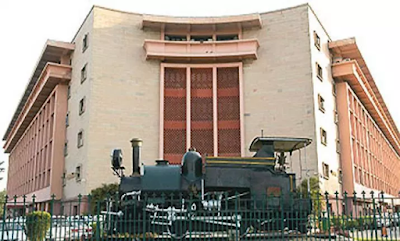 Dayanand Ayurvedic College was established in 1989 by Mahatma Hans Raj at Lahore but due to partition in 1947, it was re-established at Amritsar and later shifted to Jalandhar in 1953. It offers courses in BAMS, Panchkarma and Certificate Course in Therapeutic Yoga. The college is affiliated to Punjab University. Government Asthang Ayurveda College, Indore is also one of the oldest ayurved colleges in India. It was founded in 1921, got affiliation to Devi Ahilya Vishwavidyalaya in 1964 and renamed as Government Asthang Ayuved College in 1972. The college offers courses in BAMS, Ayurved Compounder Certificate Course and Ayurved Mahila Health Workers Certificate Course. The BAMS Course has intake capacity of 40. National Institute of Ayurveda was established on 7th February 1976 by the Ministry of Health and Family Welfare, Government of India. The Institute is known both nationally and internationally. It is known for Teaching, Training, Research and Patient Care. It has courses like Ph.D., Graduate, and Diploma Course in AYUSH Nursing & Pharmacy. It’s the part of Ayurvidya Prasark Mandal that is formed in 1948-49. The college offers undergraduate (BAMS) and post graduate (MD) courses. The intake capacity of BAMS is 40. Ayurvedic and Unani Tibbia College traces its history since 1889. The college is affiliated to University of Delhi. It offers courses in BAMS and BUMS. There are 28 Departments (14 Deptt. for each system) and a Hospital with 150 beds attached to the College where practical training is given to the students. Post graduate course (MD) is also offered in the subjects of Kriya Sharir & Kayachikitsa of Ayurved Medicine and in the subject of Moalejat of Unani Medicine. Bharati Vidyapeeth Deemed University College of Ayurved is known both nationally and internationally. It is one of the few institutions in India that offers post graduate course in all the 14 departments with intake capacity of 57 and PG Diploma in 06 subjects with intake capacity of 12 and BAMS with intake capacity of 100. It has well-equipped modern facilities. Shri Krishna Government Ayurvedic College was established in 1975. The college is affiliated to Kurukshetra University, Kurukshetra. It offers course BAMS with intake capacity of 50. It has 14 departments with 100 bedded hospital. Shri Krishna Government Ayurvedic College is the only Government Ayurvedic College of Government of Haryana. Government Ayurveda College, Raipur was established as in 1948. It offers BAMS course. State Ayurvedic College and Hospital, Gurukul Kangri Haridwar, is amongst the oldest Ayuvedic College of the country. It was established in 1922 by renowned social reformer, freedom fighter and Aryasamaji,Swami Shraddha Nand ji. It offers BAMS course. Government Ayurvedic College, Nagpur was established in 1965. It offers BAMS course.